It’s update day! Yes, later today (as in 10am ET, so about 3.5 hrs from now) we should see Halloween hit our games…it’s not live yet. There’s no significant prep to worry about for this event, just remember to keep certain characters free (listed in this spoiler post) for event tasks. 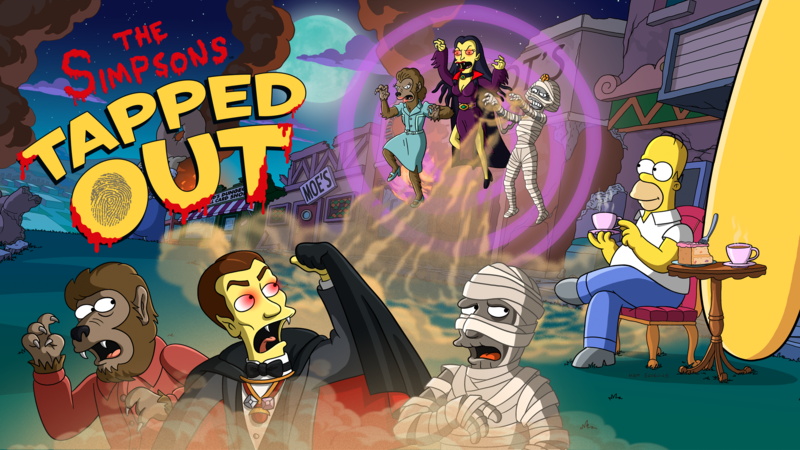 This entry was posted in Updates and tagged next update tsto, Tapped Out Halloween, Tapped Out Tips and Tricks, The Simpsons Tapped Out, TSTO Addicts, TSTO Halloween, TSTO Tips and Tricks, TSTO Treehouse of Horrors XXIX, When Is the next Update in TSTO. Bookmark the permalink. The Halloween store has disappeared in my game. Anyone else? Is anyone else having a problem not being able to update the game. All day mine has said download pending. I have closed out the app and restarted my phone. Still nothing. 10am ET in the USA is midnight ET in Australia… I hope it starts in 5 minutes because I really need the sleep. I’m too exited, I can’t believe I still have to wait 5 minutes. Looking forward to the event, but still have that annoying goo Superhero task in my sidebar that hasn’t gone away. I’m hoping it will once the event starts! I know I could just wait for 45 minutes and find out, but I was about to rearrange things and make some room for more Halloween buildings, but then I wondered whether this would be another event like the last few where everything is initially dropped into a new set of land they open up. Any idea what’s going to happen? Am I wasting my time rearranging things to make space now? VERY excited for this event!~ The last Halloween event I got excited over was the kids telling the spooky stories.. I really hope we can leave monsters or candy in neighbors villages too! I love dropping things in neighbors villages! Also, funny story, today at work I had my ipad open.. yeah on the TSTO no less (DOH, busted! )… a coworker came by and saw it.. now we’re neighboreenos, LOL. 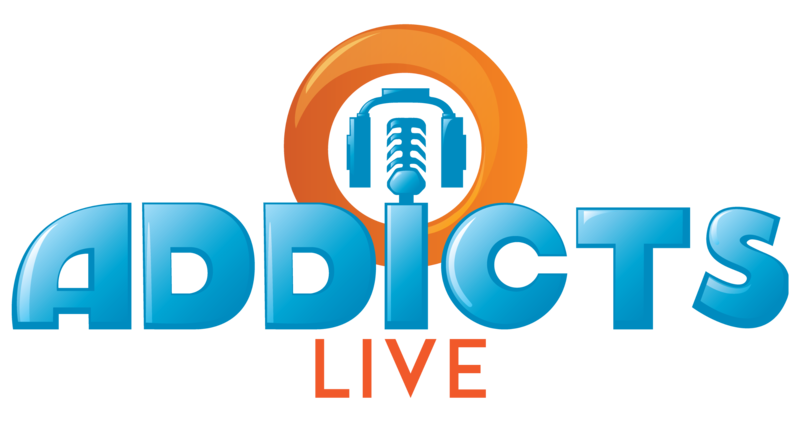 It’s a small world and you never know who is an Addict.. LOL! For those wondering what JOB do I have that allows me to play TSTO? Front desk receptionist… I do get a lot of down time when folks not at my desk. :-).. hubby laughs at me “must be nice!” doesn’t happen a lot though! Is it hear yet? Is it hear yet? Why am I never able to get the update from the Apple App Store anymore? For the last 5 or 6 updates, the only way to get it has been to delete my game and download it fresh. (I’ve tried iPhone reboot, killing game, killing App Store… nothing works except delete game and re-download the whole thing from scratch)! 🤷‍♀️ check with apple maybe? Well, I downloaded the update a few hours ago, and I’m looking forward to this event, but I fail to see how the Fortune Teller and the event teaser questline are a definite teaser for the theme of this year’s Halloween event. Also, I don’t like the inclusion of the Devil into the game as a character, and so I’m hesitant to buy the character when time comes due to religious reasons. And I think that that sort of thing should addressed in a “Should I Buy It” post regarding this particular character just in case other players have similar reservations towards this character. That is up to you. 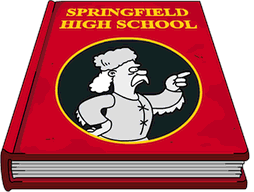 I’m just voicing my opinion about a character who is not something to be joked about and not taken seriously, even in fictional setting like “The Simpsons”. I haven’t yet made up my mind regarding this character. I still may buy this character. I will make that decision when he becomes available to purchase. And, although my religious views are a major factor in what my decision will be (and I’m not a very religious person), even outside of religion, the Devil, and demons in general, are considered to be the ultimate evil. That is something that should not be taken lightly, even in a fictional setting, regardless of my personal religious views and regardless of the personal religious views of other players. That’s why I think that it should be addressed in an SIB post. Uhm…we are waaaaaaaaaaay past that place in this game. “Evil” is subjective at best in the cartoon world. Have you not been playing long? Do yuh have the Devil Donuts cart? Pure evil. I gained five pounds just tapping it. What you said about the donuts cart was funny. And, yes, I do have the donuts cart, but I recall it causing me to gain weight just by tapping it. I don’t have the other two small Devil themed decorations, and it still remains to be seen as to whether or not I will ever acquire those particular decorations. As for how long I have been playing, I have been playing for about a year and a half, and this is my second Halloween event. Nope, in my opinion the ultimate evil in the universe is the Borg which you identfy with in your name. Halloween has always been a time with goblins, ghouls, ghosts, and the devil. And what exactly do you think make the Borg evil, huh? The Borg are not truly evil. Any being that is truly evil has an insatiable desire to purposely cause pain and suffering. That is what makes the Devil truly the ultimate evil, because he wants all of mankind to be condemned and suffer for all of eternity. The Borg are not like that at all. Yes, the Borg do use excessive force and conquer through assimilation, but their goal is not cause pain and suffering, which is an unintentional side effect due to resistance from those races that they assimilate (or try to assimilate). They just want everyone to be one big happy family (in a sense) as part of their Collective. Unfortunately, they try to achieve this goal by force and, essentially, virtual enslavement, because that is the flawed will of the Borg Queen. She is the only about the Borg that even comes to being evil, and, yet, she is not evil, she is just flawed and misguided in her thinking. As for my username, I chose that name because I am a fan of the Garfield comic strip and of Star Trek, and the Borg are my favorite Star Trek villains who are not inherently bad. The username is also based on a Star Trek card game. But I do not identify with the Borg, and my real name is Jimmy. Ok guys…let’s stop the debate. This is a Simpsons Blog not a religious one. So sorry Alissa. I was trying to be funny, but it went “zoom!”. Thanks for all the great info on update and how is the baby? Logically thinking, the “Devil” has a full time job working for an entity that you call “God” (and then gets bad PR for doing it!) – answer me if you must, and I will briefly explain! First of all, the Devil DOES NOT work for God. He is totally against God. And second of all, both God and the Devil do exist. There would not be any kind of evil in world if they did not. Whether or not you choose to believe in them is your business. That is all I have to say to you on this matter. And what does the Bible say about the Devil’s use of technology? Have you seen the last 20 minutes of “Time Bandits?” Check it out. Then go re-read Revelations. More to the point, if you took a broader approach in your theology, you would find several interpretations of heaven, Hell, God and the Devil. Yours is a tad too literal. It could be argued by your reasoning, that only Christians need to fear the Devil and Hell…as many other religions do not work within such an “honor/punishment system.” You aren’t exactly painting a great picture for recruitment. One thing that almost every religion has at its base…”do the right thing, because it is the right th8ng to do,” and “love one another unconditionally.” Both sound good to me. Enough of this metaphysical meandering. Most religions have a good and bad side and everyone can believe in what they want to, even the tooth fairy – now, back to the 4 hour grind which is much more fun. Great calendar by the way, lots of big numbers to achieve! YEP…my point exactly. They are all pretty much a mix-mash of the same concepts…with different places to send the money. Why is it that people don’t listen. How many times do they have to be told that the event hasn’t started yet. I’m glad that you have plenty of patience Alissa or you would end up throwing in the towel. Please everyone read the posts, then you will have all the info you need! Thank you Alissa and all the gang for everything you do! Updated the game, ready for the event to start now. There is one thing that I noticed: I can now Make Homer buy Champagne!!!! I was stuck with that task for the Much Ado about Mindy PT.4 for a year and today I can complete it. Sure not the best day for 12 hs task of Homer but I can’t pass the opportunity… A YEAR! Looking forward to the event going live in the UK at 3pm. Thanks for all your updates, always appreciated! Hey…guessing it doesn’t work BEFORE the event, like it does between acts but… is anything gained by saving daily prizes until the event begins? In this case, no…except keeping someone free you might need. Well, you can keep tasks unfinished and after the event start you can change them, they should change into task earning event currency. 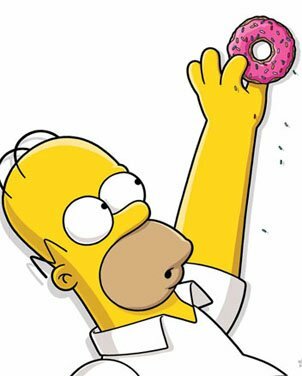 I do it, but its more an accicent than intention, as I always try to change tasks to ones earning donuts. So right now I have two unfinished task waiting (one is collecting furniture, the other collecting coffee). Saving finished daily tasks is of no use. You can swap them one a day once the event starts, but they dont change over automatically. It still gives you a bit more event currency by manually changing them each day. I still don’t have any quests despite the update. Any ideas who starts or what time? Thanks. I feel your pain because we only have a Minor League Team here in Las Vegas ….. but I will keep #VegasStrong and welcome another Hockey Season with the Las Vegas Golden Knights! I know that was rough last night. Been looking forward to this event all year. Going big with the donut purchases early. It will be a wasted morning waiting for 9:00! When you get to the app search for simpson’s Tapped out. Make sure to tap on the Halloween 👻 picture then your app should start updating.